I think I’m very lazy. Been stop writing for quite a while. In fact I’m never been a good blogger. Only written a couple of times. Decided to restart my blog again. Hmm what should I start then? Let see.. wonder why other bloggers got so many things to write..
Let me start up with my my crochet projects then! After all these are the things that made me happy these days..
My last finished project was a long blouse made from cotton thread. The next one is going to be an afghan of autumn leaves pattern. I figure that would take a while for me to finish it.. Altogether there are 63 squares to make. 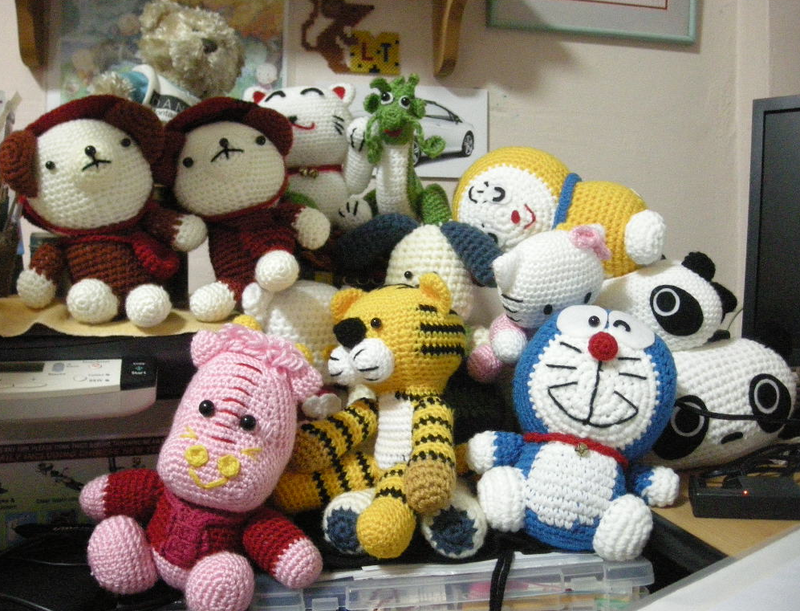 I have finished 12 so far… Reminds me to go to Spotlight to buy more yarn.. Throughout the years I have done quite a number of projects, curtain, cushion covers, blouses, sweaters, scarf, etc. sure hope the price of the yarn go down so that I can do more projects in future. Ha! Ha!